Back in 1977, smartwatches weren't nearly as smart as they are today. There were no flashy OLED displays, no email notifications, no navigation tools, and no fitness trackers. In fact most people hadn't even thought of a watch doing anything other than telling the time. HP, though, was a little bit ahead of the time. Transistors had scaled down to the point where pocket calculators were now possible, so the company thought it would surely be possible to integrate one into a wrist-mounted device. And so the first real smartwatch and the first with calculator functionality, the HP-01, was born. 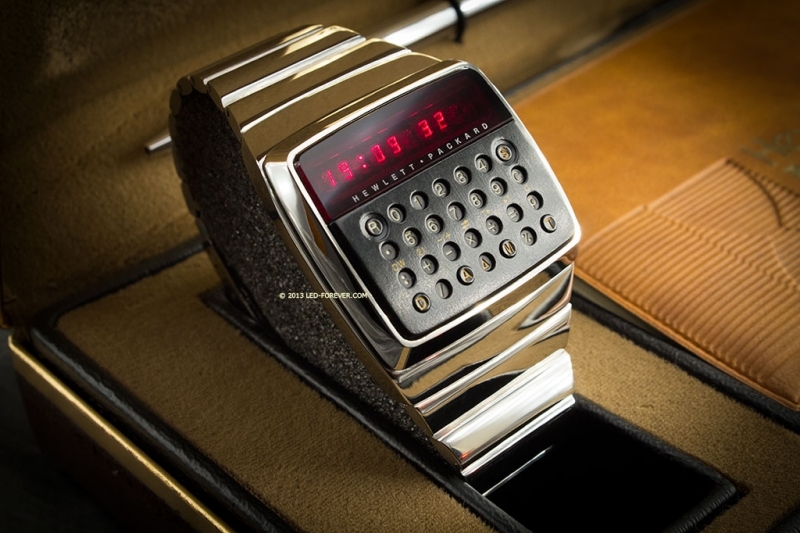 In 1977, the HP-01 in either gold or stainless steel cost $600 - $2,360 when adjusted for inflation - and weighed 150 grams. It was a unique product, years before Casio released their iconic calculator watches, making it a collector's item for those lucky enough to own one. For the cool price of $14,500 you can grab a rare chrome-finished prototype of the HP-01 on eBay, a fully-functional model never released to the public. With this HP-01 on your wrist, you'll be able to tell the time in glowing red, perform basic calculations, and even set alarms, timers and stopwatches. It comes complete with the original box and documentation, making it a perfect collectors item.